We are excited for our Mite, 8U, Red, White and Blue program offering for the upcoming 2015-2016 season. Our overarching goal is to provide as much player development as possible, while providing as regular a schedule as the rink availability permits, and to include in the season pricing as much of the cost of the program as we could include. The only things that are not included in the program fee below are the costs you would incur to outfit your own child (e.g. skates, stick, pants, helmet, etc.) and any cost that teams wish to bear to attend away tournaments. You will notice that this year we are including in your billing the fees for our Big Thaw tournament (meaning that your “only” remaining commitment for Big Thaw is to volunteer your time to help us keep score, staff raffle tables, and the like). Teams will consist of approximately 11 players each (two shifts of 5 skaters each plus a (rotating) goalie. Teams will be placed at either the Blue (typically 1st year Mites, equivalent to House B players), White (mix of 1st and 2nd year Mites, equivalent to House A Players) or Red levels (mostly 2nd or 3rd year Mites with advanced skills and skating, equivalent to a travel team). Our current plan is to offer one team at the Red level, three teams at the White level and three teams at the Blue level. Each team will have a head coach, one to two assistant coaches and a team manager. Information will be provided in a separate correspondence regarding coaching applications and requirements. Come back soon to read about our specific plans for the 2015-2016 program. All PYH Mite teams can expect two practices per week (our aim is to schedule those on Monday and Fridays) and approximately one game per week. Skaters at Red level and White level will have the opportunity to secure additional ice. Our White and Blue teams will be entered in the Empire Amateur Hockey Conference and will play an estimated 14 league games (7 home and 7 away). In addition, our White and Blue teams will may be playing a mini in-house league schedule of 4 to 6 games culminating in the playing of the second annual PYH Cup for organizational bragging rights at the end of February. Our Red team will play a combination of an independent schedule and participate in the Western New York Amateur Hockey League Jamboree League. Our target for the start of the 2015-16 season will be the weekend of September 12-13. The county Mite directors are in the process of scheduling the second annual Empire Placement Jamboree - held this year September 26-27 at Thomas Creek. This jamboree will include every single Mite team in the Rochester area who participates in the Empire League and each team will play 6 short games against a variety of teams in order to help the league determine the appropriate level of play for each team in the league. Practices for the season will generally run on Monday and Friday evenings. Teams may play in local or out of town tournaments depending on the interest of the coaches, managers and families of that particular team. There are a few early season tournaments scattered about, with the prime tournament season really happening from mid-February to mid-March. 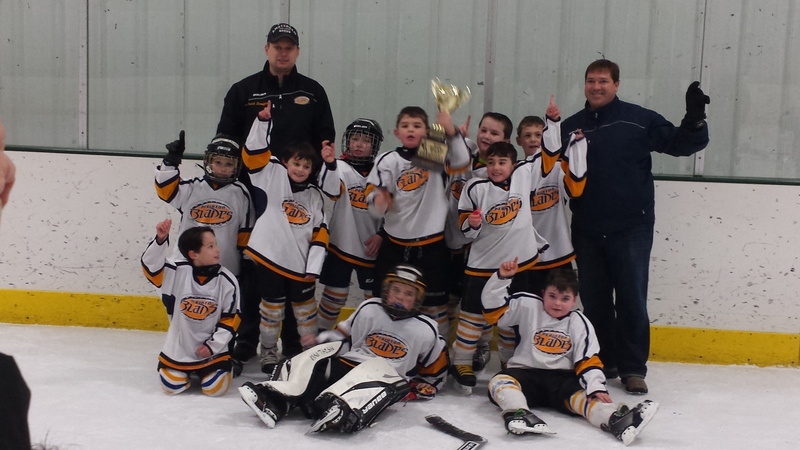 In the past PYH Mite teams have played in tournaments in Buffalo, Oswego, Auburn, Rome and more. It is recommended that teams have a conversation about tournaments as early as possible in the season if this is something that is of interest. Player evaluations will be conducted and are targeted to be completed during the first weekend of camp, September 12 and September 13. There is some possibility that teams may not be finalized until a week later. You may want to have your skater go to a few open skates or skate-n-shoots or get some other time on ice prior to the camps in order to shake a little of the rust off. Note that PYH and USAH recommend that your young athlete take time away from the hockey rink in the off-season, we are not suggesting you play spring and summer hockey - only that your child stay active. Mite players are limited to being from the 2007 and 2008 birth years, and for players with sufficient skill to play at the various levels. In general, the evaluation for your skater will be based upon the skater's Control, Confidence, Coordination and Coachability. Your skater should be aware of others on the ice, have respect for his or her teammates and coaches, and be willing to challenge himself or herself as we continue to emphasize the fundamentals, especially all aspects of skating. Furthermore, as the Mite experience is a full-time team experience, skaters who are interested in playing Mites must be able to commit to partaking in as many of the scheduled events as possible - as rosters and events will be put together with an expectation that 11 players will be available for every team, and a particular number of skaters attending each of the high intensity practices. For players needing additional time to develop, or unable to make a full-time commitment to a Mite season, we will recommend a year in our Intermediate program if we feel that this is the best place for your skater to develop. Compete for the Cup and for PYH bragging rights on February 20, 2016. Cups will be competed for at the White/Red levels and at the Blue levels. Team Napieralski was the inaugural winner of the Red/White Cup with a thrilling 3 shootout wins out of 4 game undefeated march through the 2015 tournament. Team Stauffer was the inaugural winner of the Blue Cup with a thrilling come-from-behind 4-2 victory in the finale against Team Dossier. All of our Mite teams will be playing in PYH's home Big Thaw tournament. 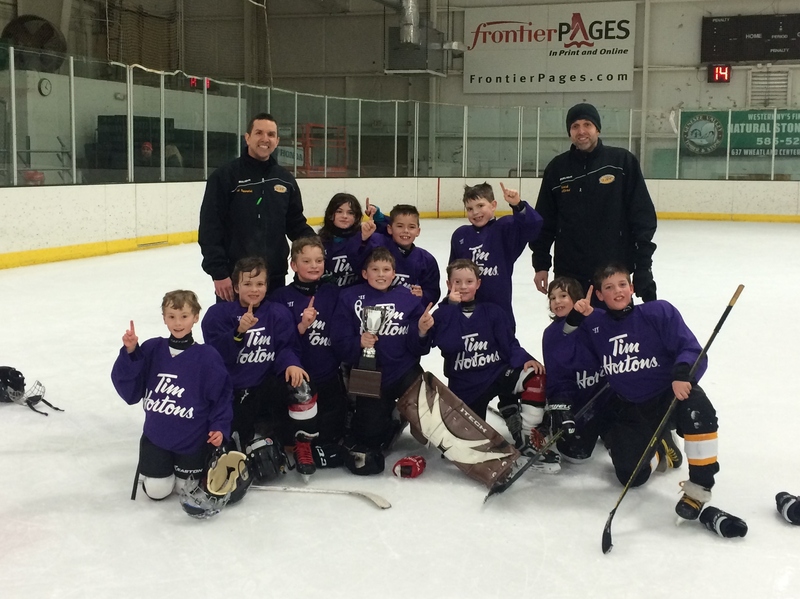 We expect the Mites portion of the tournament to run from Friday March 4 through Sunday March 6, 2016. We will include the cost of this tournament in our season pricing. Last year we had 36 Mites teams across 9 divisions of our tournament. All 7 of our entered PYH teams advanced to Sunday's medal play with 4 taking home gold medals. Our families have always made this a wonderful tournament for our own players and especially for our guests coming from out of town by dedicating a great deal of effort to volunteering at this tournament. It has been a very memorable way to end our teams' years in the past.